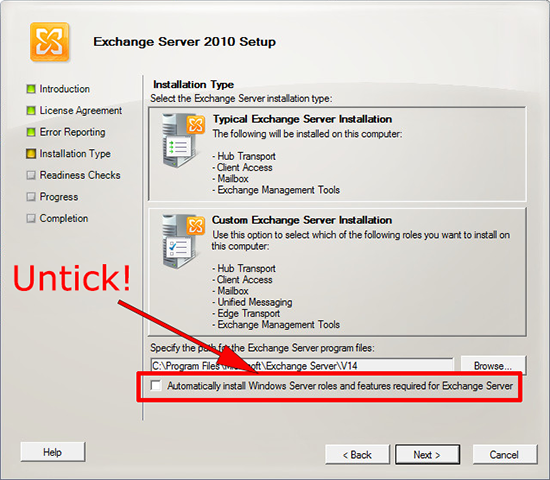 With the release of Exchange 2010 Service Pack 3, Exchange 2010 is now supported on Windows Server 2012, but as there (at time of writing) is no media with SP3 slipstreamed into it, installing the product on Windows Server 2012 is a little problematic. 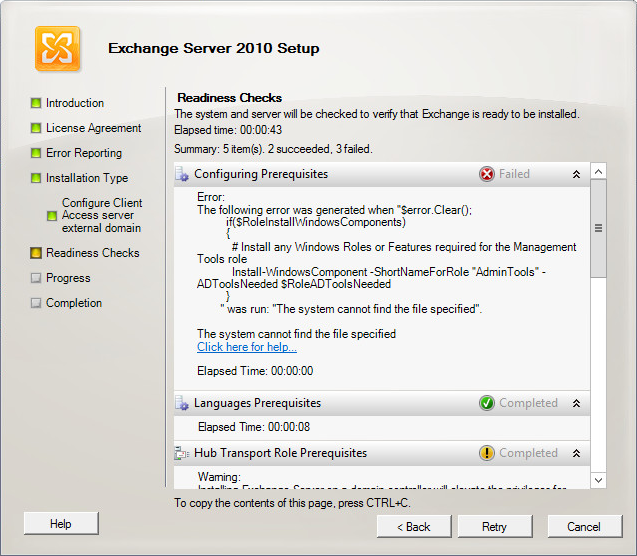 If you got here because you have tried and have got an error, follow the procedure below and you should have the product installed and running without any further problems. To see the possible errors jump to the end. 1. If you have Exchange 2010 already deployed on the servers, I would suggest you get all these upgraded to Service Pack 3 before you start. 2. Install the Office 2010 Filter Pack, and the Office 2010 Filter Pack Service Pack 1. Note: Don’t panic if it appears to hang at 68% for a while! 4. 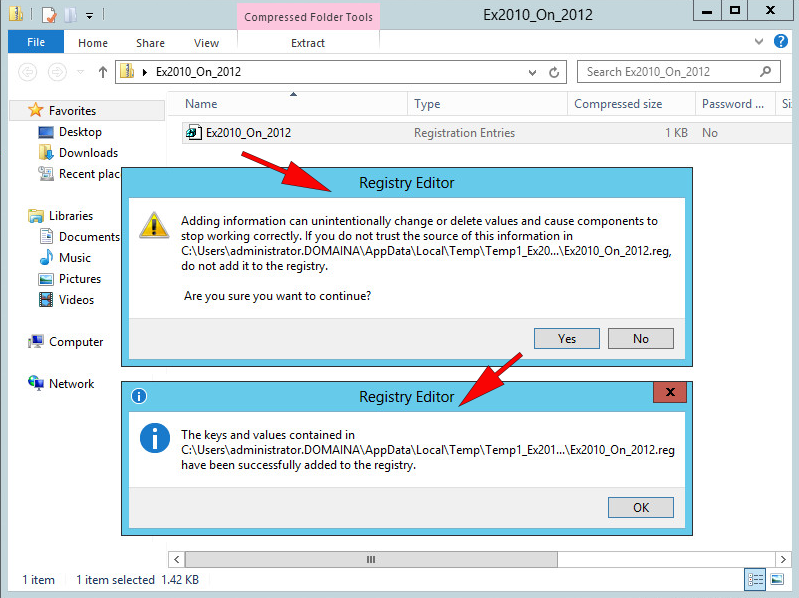 Download this zip file, it contains a .reg file, run it and merge those files into the registry of the 2012 server. 5. 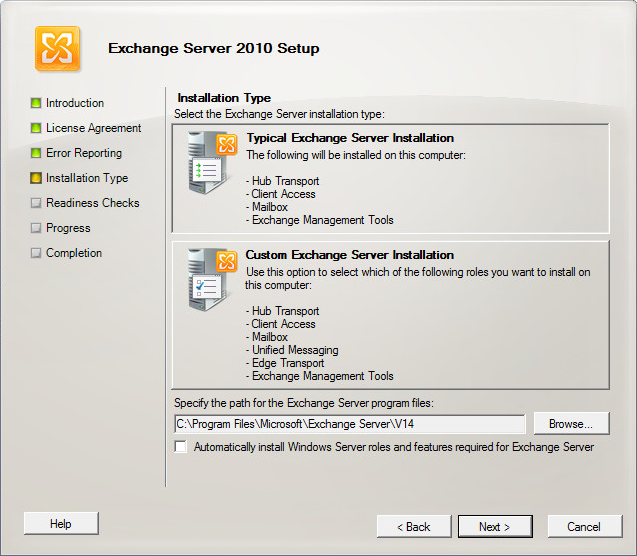 Insert the Exchange 2010 DVD, or run setup.exe from the extracted Exchange 2010 install media. 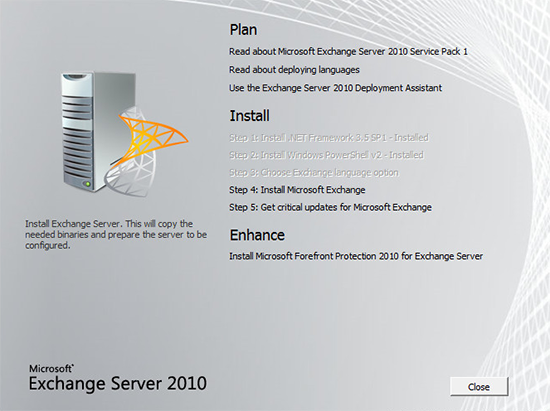 Note: I’m using Exchange 2010 with SP1 included (because its the newest one I can download, and a version with SP2 or SP3 included is not yet available). 6. MAKE SURE, you DO NOT have the ‘Automatically install Windows Server roles and features required for Exchange Server’ option selected or you will see this error. 7. 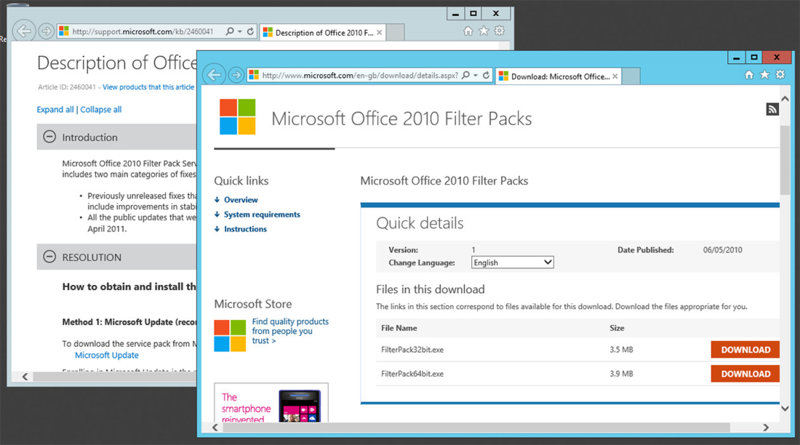 When complete install Service Pack 3.
" was run: "The system cannot find the file specified". 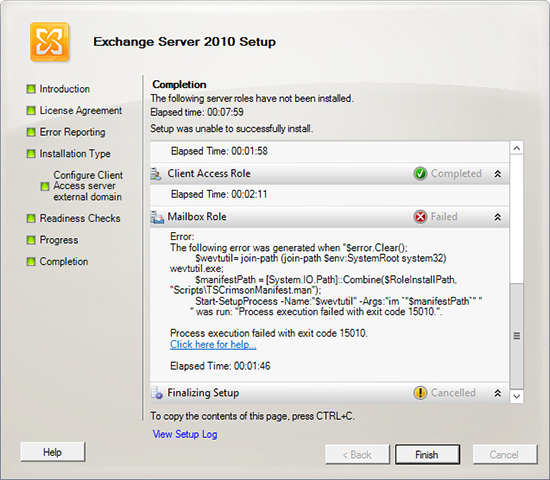 You see this error if you left ‘Automatically install Windows Server roles and features required for Exchange Server’ ticked, simply click back and untick this box then try again. Start-SetupProcess -Name:"$wevtutil" -Args:"im `"$manifestPath`" "
" was run: "Process execution failed with exit code 15010.". Process execution failed with exit code 15010. 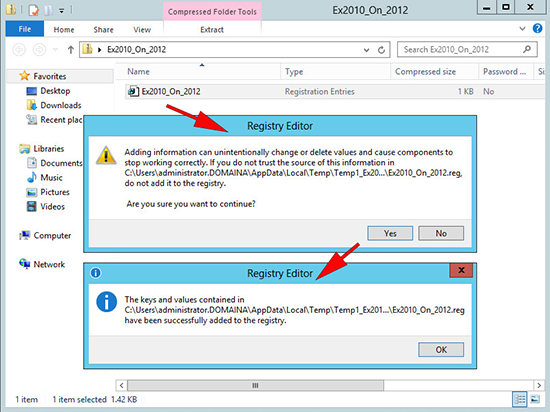 Download this zip file, it contains a .reg file, run it and merge those files into the registry of the 2012 server. Then run the setup again. (19/06/13) Update from reader Jeremy Krautkramer. 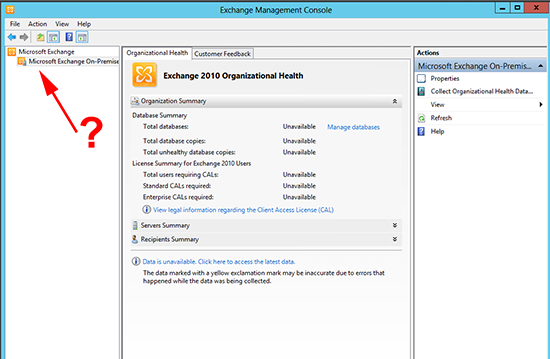 You may find that on Server 2012, (and Windows 8) You can launch the Exchange Management Console, but are unable to expand any of the objects in the left hand pane. 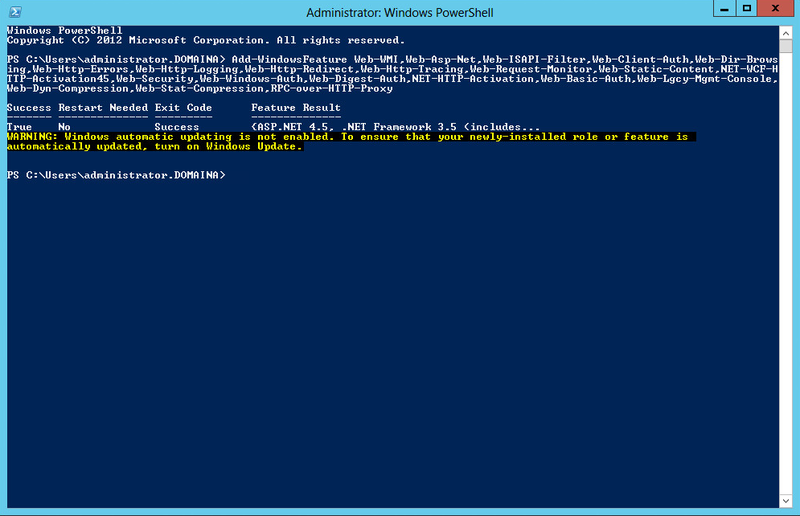 Note: Change the drive letter and path to match your own server. Why this happens? The Exchange 2010 Exchange Management Console was built with CLR (Common Language Runtime) version 2.0. Windows 2012/8 by default runs its MMC snap ins with CLR version 4.0. Thanks to Jeremy Krautkramer for his feedback.